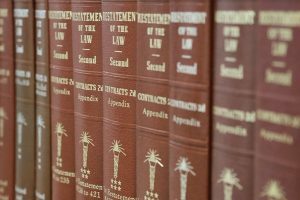 The American Law Institute generates “Restatements of the Law” based upon majority legal rules from different jurisdictions, and Courts often rely upon the Restatement as helpful guidance when the Court does not have established authority on a given topic. However, in May of 2018 the ALI’s new draft Restatement of the Law of Liability Insurance garnered criticism for advocating a generally insurance-unfriendly view of the law rather than a majority rule approach. As just one example, the majority rule for assessing a duty to defend generally restricts the scope of inquiry to the allegations of the Complaint. Yet, the ALI’s new draft advocates for a broad rule permitting a Court to consider evidence outside the Complaint in evaluating an insurer’s duty to defend. 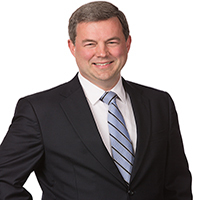 Another proposed Restatement formulation would potentially subject an insurer to liability for the selection or direction of defense counsel, if defense counsel commits malpractice in the defense of the insured. These and other examples have placed the new Restatement of Liability Insurance at the center of no small measure of controversy. The Ohio Legislature and Governor have heard the outcry. New legislation signed by Ohio Governor, John Kasich, last week established that the Restatement of the Law of Liability Insurance “does not constitute the public policy of this state and is not an appropriate subject of notice.” A “Final Analysis” of the Ohio Senate acknowledged that “Restatements of the law are nonbinding treatises on legal subjects that seek to inform judges and lawyers about general principals of common law. The American Law Institute is an organization of judges, legal academics and practitioners that publishes the restatements.” However, the Ohio Senate’s analysis document stated “the general assembly may set the public policy of the state while the judicial power is vested in the Courts of Ohio,” further relying upon Article 4, § 1 of the Ohio Constitution. Stay tuned for whether additional states will follow suit, and whether the new legislation will face any challenges in the Courts as to its constitutionality based upon separation of powers, and the Courts’ powers of judicial review. But as it stands, not only is the ALI’s Restatement of Liability Insurance not authoritative under Ohio law – it is against Ohio Public Policy.